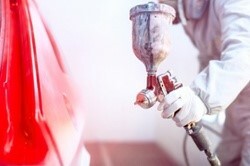 One of the most common processes we see in the manufacturing industry is the application of paints, top coats, and primers using an applicator spray gun / paint line. 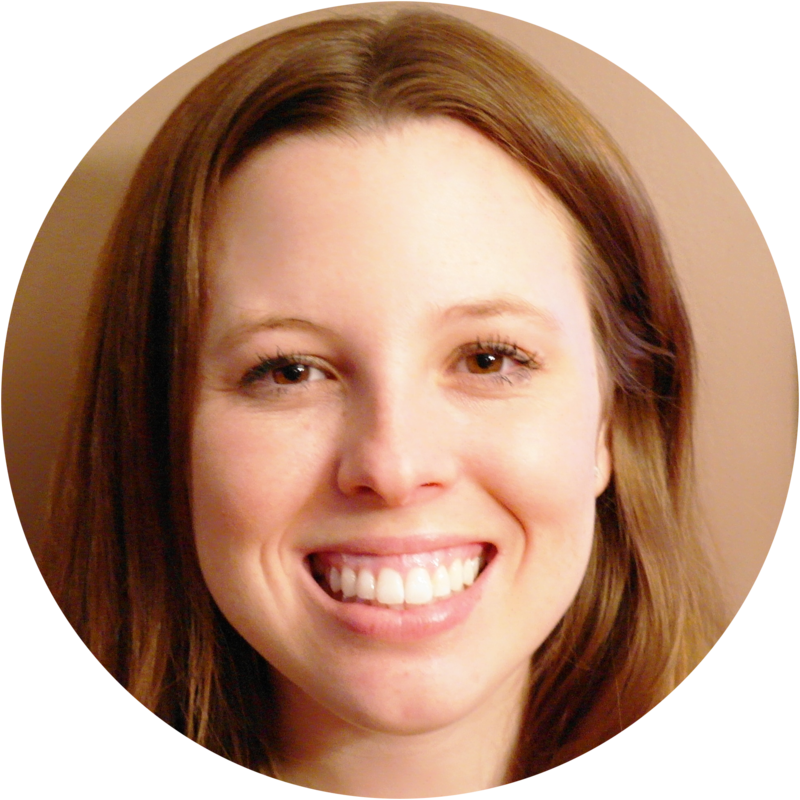 From an environmental reporting perspective, EHS professionals are usually well versed in how to calculate air emissions from the actual paint application using factors like application efficiency rate and so forth. However, there is an element of these processes that often trips up air emission reporters: solvent recovery and the resulting waste reporting and air emission credits. If you aren’t properly calculating the results of your solvent recycling process, you’re likely over-reporting on your air emissions; by understanding how to manage and report solvent recycling, you’ll be able to claim the proper air credits and your ability to track the impact of your manufacturing processes in general will improve. This short and straightforward guide will give you tips and steps on how to track solvent usage and recovery to satisfy requirements for all emission crediting, waste, and EPA TRI reporting purposes. If you're asking yourself "what is TRI reporting? ", the quick summary is that it is an EPA chemical reporting program that requires manufacturers to report any TRI reporting chemicals they process, manufacture, or otherwise use - if they these quantities are above a specified EPA TRI reporting threshold. How are Solvents Used in Manufacturing? What Do I Need to Track in Solvent Usage? As a paint gun is used, it needs to be cleaned or flushed to remove any excess paint for maintenance and/or color changes. Flush solvent is used to remove the paint from the paint gun / paint lines. The waste generated from this solvent flush is collected to be either recycled or shipped to a treatment, storage, or disposal facility. An EHS manager (or floor staff member placed in charge of EHS data entry) attempts to quantify the composition of waste collected for environmental reporting (speciation). In some cases, the solvent is recycled / recovered so that it can be reused. The solvent waste collected is made up of both solvents and paint waste, some of which you can be treated and reused. For environmental reporting purposed, first you’ll need to know how much of the waste is solvent, and how much is paint. And, importantly, do you know which chemicals are present in the waste collected? 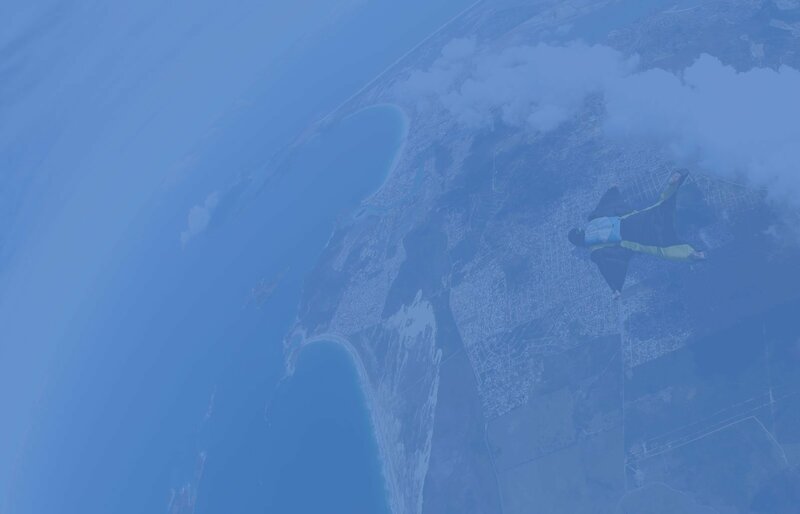 First, you are able to claim waste credits against your air emissions. This is important for keeping your air emissions within federal and state/local air regulations and your air permit thresholds. If a product is exiting your facility as waste, you can be sure it’s not being released to the air, so you can deduct that quantity from your reportable TRI air emissions. Toxic Inventory Reporting (TRI) requires your facility to disclose the quantities of reportable EPA TRI chemicals that are found in waste collected, whether treated or shipped off-site. If you are required to report for EPA TRI, you’ll need to know which chemicals are in your solvent/coating waste mix. Even if you discover that there are no reportable chemicals in your mixture, you’ll need the record keeping to show that you’ve done your due diligence for the Environmental Protection Agency. When it’s time to speciate the chemicals in your waste, ERA recommends using one of two methods: you can calculate the waste composition by determining a ratio of all materials and chemicals used in the spray booth/paint line, or speciate the waste using a waste profile. In either case, you’ll need to have strong recordkeeping practices in place. By using a waste management system along with automated EHS data management tools, like the one provided by ERA, this task will be much simpler. Above, we mentioned that solvents are sometimes recovered and recycled. Let’s review how the on-site solvent recycling process works. First, you start with the container of mixed paint and solvent. From there, a manufacturer may choose to send that container to an on-site distillation unit where it is cleaned out for reuse. Some manufacturers also send the container off site. After the solvent undergoes the distillation process, you will be left with recovered solvent and a by-product of the leftover paint known as still bottoms. It’s important to note, however, that most still bottoms are actually made up of paint containing small concentrations of solvent chemicals. Therefore, ERA recommends performing periodic testing of your still bottom waste to determine exactly which chemicals are present in your waste for reporting accuracy purposes. Afterwards, the still bottoms are shipped off site for waste treatment by a specialized chemical waste management facility. · The waste profile record for any still bottom sampling you do. · The waste manifest for any still bottoms shipped off site. · Records of how much solvent was sent to the distiller and how much was recovered in each batch. When taking TRI air emission credits from your solvent waste, the credit is applied to the amount of waste collected sent to the distiller. No credit is taken for the paint still bottoms, as it has already been accounted for in the total waste sent to be recovered. However, if there is additional paint waste collected (for example, from paint overspray) air emission credits can be claimed for the paint used in that process which was not previously credited with the solvent recovery. You should also note that you cannot claim air emission credits from still bottoms, as the credits were applied previously to the solvent waste instead. It’s also important to understand how solvent recovery affects your Toxic Release Inventory (TRI) threshold determinations. Making a mistake in your record keeping can have a major impact on your TRI chemicals and releases. One common mistake associated with solvent recycling relates to threshold determinations. There are two different situations that need to be addressed when a facility is recycling and reusing the chemical: offsite recycling and onsite recycling. Offsite Recycling –If the facility sends solvent offsite to be recycled and then receives it back to be use in the process, it is considered like a “raw material” and the amount needs to be counted towards threshold. On site recycling and reuse – If the facility recycles and reuses the solvent over and over again only the amount that is added (purchased as a raw material) needs to be counted for otherwise use. Please note that while the amount of solvent re-used from an on-site recycling process does not need to be considered for threshold determinations, it does need to be considered for air emission calculations. Each time solvent is used, there will be some emissions due to evaporation. Perhaps the most drastic pitfall to avoid is double counting: any solvent that is recycled and reused should not be not counted again for throughput. Only new solvent being used is counted - and it should be counted towards the Otherwise Used threshold for TRI. It’s a common mistake to count your recycled solvent twice when doing EPA TRI threshold determinations, but the solution can be as simple as proper record keeping of solvent usage. We recommend having a separate SDS and product record for your recycled solvent versus your new solvent – this way you can attribute product usage records to the appropriate category of solvent and only apply the new solvent usage records to your threshold determinations. If you're looking for more information about the EPA TRI program, or want to learn some advanced insights to how to understand the EPA TRI Explorer tool (which is very useful for your own internal TRI auditing), we recommend checking out this free course - click the button below to access it. 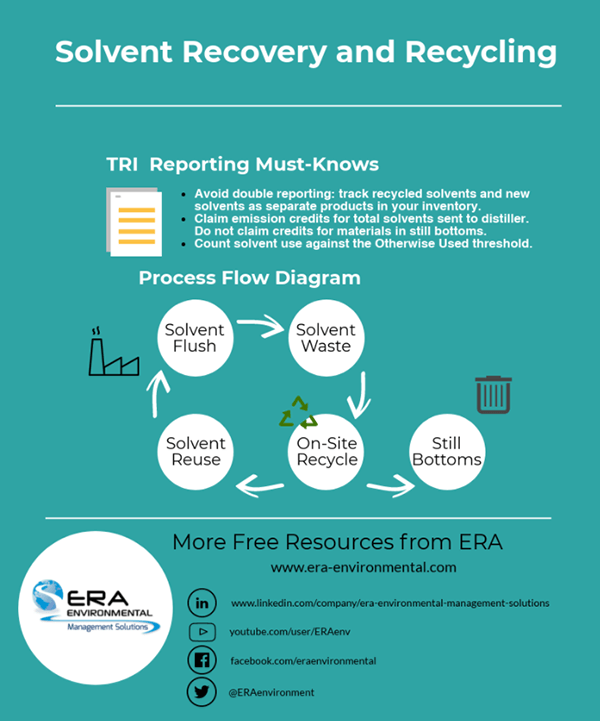 And to sum all of this information up, here’s a simple infographic explaining the process flow of solvent recycling for TRI reporting and waste management purposes.